Anchor Lame. Anchor Metallic. Color Chart. 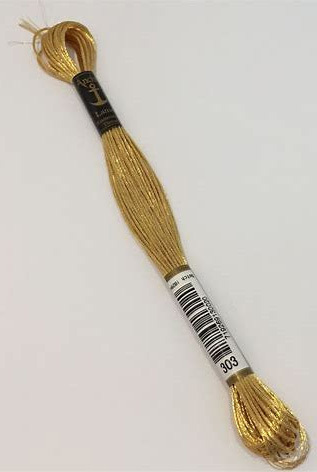 freestyle embroidery, couching or gold work or one strand can be blended with stranded cotton to highlight chosen areas. Each skein contains 8m of 65% Viscose / 35% Polyester metallic embroidery thread.